You Can Upgrade the Un-Upgradable Steam Machine. But it's Not Easy. Alienware, purveyor of pre-built PCs of all shapes and sizes, has recently revealed their plan to introduce yearly upgrades to their model of Valve's PC-slash-console-hybrid Steam Machine, justifying the decision by saying that their machines will not be upgradable. Turns out, that's not quite the case. 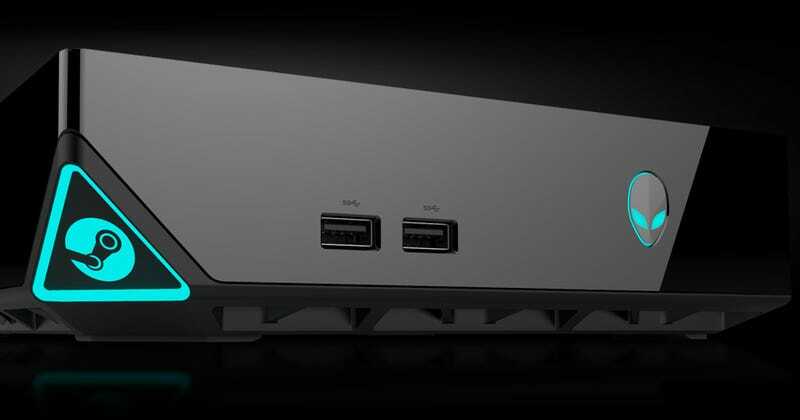 "We've purposefully designed the Alienware Steam Machine to be smaller than the latest generation consoles," Alienware general manager Frank Azor told Eurogamer. "Upgrading the internal components will not be as easy as compared to other platforms (...) but we will not prevent a customer from upgrading." Azor went on to explain that their Steam Machine is intended for those who want a "smaller, more console-like system," further implying that the more closed nature of their model comes from the slight form factor—meaning that yes, you can upgrade. But you'll need to find a way to cram your components into a tiny, tiny box. Sounds like a challenge!